The panel of road accident solicitors at Legal Expert has successfully represented numerous serious road accident compensation cases. We have worked with clients across the country to help them recover from extremely serious injuries which occurred as a result of road traffic accidents. Whilst the UK has some of the safest roads in Europe and the world as a whole, recent statistics from the Government have shown that in 2016 there were more fatalities as well as serious injuries than previous years. There were a total of 1,792 fatalities whilst 24,101 people sustained serious injuries. Whilst this figure shows an increase in previous years, the classification system for injuries changed, accounting for different figures. In this serious road accident compensation case study, we are looking at a case where a 36-year-old man sustained serious injuries to his legs, resulting in the amputation of both legs below the knee. The claimant had been trying to help a driver who had broken down when he was hit by the defendant’s car. The impact of the crash caused severe trauma to both legs, as well as to his hips, lower back, a fracture to his collar bone and the dislocation of his shoulder. The case was resolved with damages of £2.75 million being paid to the claimant. How Common Are Serious Road Accidents? Serious road accidents can happen to drivers, passengers, pedestrians and other road users (such as cyclists).Looking at vehicle users (drivers and all kinds of passengers), in 2016 there were a total of 1,792 people who were reported killed in road traffic accidents in Great Britain. This was an increase of 62 over 2015, but not a statistically significant one. Overall, this was the highest number of deaths on the roads of Britain since 2011. Overall the trend for fatalities has been flat with minor fluctuations here and there. However, the number of serious car accident injuries did rise, along with car accident claim payouts. In 2016 there were a total of 24,101 people who were seriously injured as a casualty in a road accident. This number is higher than in previous years, such as 2015, but this is because of a change in the way that severe and serious accidents are reported. Head and back injuries: traumatic injuries to the head and the back are some of the most serious injuries people can sustain in a road traffic accident. They can result in injuries such as traumatic brain injuries, including commas as well as long-term cognitive problems. Serious back injuries have resulted in herniated discs and damage to the spinal cord. Chest and neck injuries: whiplash can result in serious injuries and even paralysis of the vocal cords. More severe injuries can result in traumatic heart attacks (cardiac arrest) and damage to the internal organs. 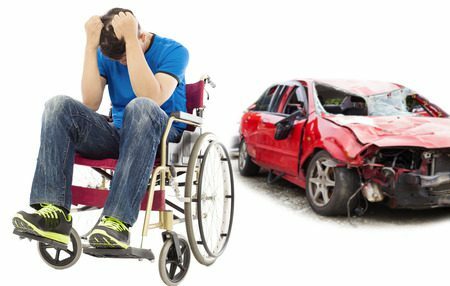 Serious injuries and emotional consequences: other serious injuries can include ruptured organs, damaged tendons, broken bones and long-term emotional or psychological conditions. All of these, as well as other, injuries, can have lasting and life-changing effects on people. Getting the compensation you deserve after a serious road accident is vital to helping you move on and rebuild your life. In this serious road accident compensation case, it was alleged that the defendant (of the car which hit the claimant) drove his car and struck the claimant, causing multiple serious injuries. It was alleged that the defendant was negligent and that he had failed to stay in control his vehicle. The allegation went on to state that the collision was the cause of the serious injuries sustained by the claimant. The nature and severity of the injuries sustained to his legs, led to both of them having to be amputated. Solicitors acting on behalf of the claimant went on to state that he would not be able to return to work as a direct result of the accident, and that as a further consequence, he would require constant care for the rest of his life. As well as not being able to return to work, the claimant would also need to have his home and vehicle adapted to account for his disabilities and future needs. Solicitors included both general damages for the specific injuries, as well as special damages to compensate for the man’s loss of future earnings and adaptations to their home, vehicle as well as medical care. Car accident compensation, how long does it take? In this incidence, the case took longer than can sometimes be expected. The defendants’ solicitors alleged that the owner of the broken vehicle was either wholly or partially responsible for the accident. Part of the treatment was also delayed as a result of the allegation against the vehicle which had broken down. 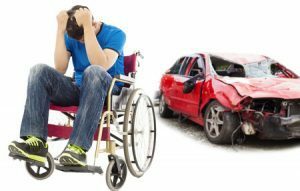 What Car Accident Injuries Did The Claimant Suffer? The claimant sustained their injuries as they were going to help the driver of a vehicle which had broken down. The defendant in this case then drove into him. The impact of the collision caused the claimant severe injuries. The injuries to their leg included severe, comminuted, fractures to both of the man’s legs. He sustained further injuries to his hips as well as the lower back. Finally, the claimant also dislocated their shoulder and fractured a bone in his collar. Treatment for these injuries included several surgical operations. The injuries sustained to the claimants’ legs were too severe to repair and, ultimately, necessitated amputation. One leg was amputated below the knee and the other through the knee. All-in-all to initially recover from the initial injuries and operations, the claimant had to stay for two-and-a-half months in hospital. After he was discharged, he required a further three months of initial rehabilitative treatment. Seven months after the end of the rehabilitation, the man had to return to the hospital and have a further operation on one of his legs. This added another month to his total hospital stay. After this, his rehabilitation continued and he started to use basic prosthetic limbs. Due to the complexity of the injuries sustained, these initial prosthetics were not successful and the claimant was only able to walk very short distances using them. Four years later, the claimant still could not walk very well or for long periods of time/distance. They persevered with further physiotherapy and tried more advanced prosthetics. As well as the physical injuries, the claimant also suffered psychological injuries including anxiety, panic attacks and overall depression. Treatment for these conditions included psychotherapy, but more than four and a half years after the accident, the claimant still suffered these conditions. Before the accident the claimant was a type 2 diabetic, this changed permanently to a being type one diabetes as a direct result of the accident, requiring permanent insulin injections. Before the accident, the claimant had been studying for a masters degree whilst also working at a hotel chain. As a direct result of the accident and resulting injuries, the claimant was unable to continue with his previous everyday life. His care was provided by both his family and local authority. The claim also took into account that the claimants home was on the ground floor of a building and that several adaptations would be needed to help the claimant live comfortably. This case included a far higher than average compensation for car accident compensation claims. £180,000 in general damages. These cover the immediate pain and suffering as well as the loss of amenity. £2,750,000 was awarded as special damages compensation. This was paid as an out of court settlement. The special damages included loss of current and future earnings, the cost of specialist (private) prosthetics, as well as adaptations to his home. Car crash compensation payouts will vary depending on the nature and severity of the accidents. The amount awarded for a claim is determined according to guidelines produced by the Judicial College. In the UK there are five major causes of road accidents resulting in major injuries. These are drink driving, losing control of the vehicle, driving in a reckless way, being careless or reckless, failure to judge the speed of other vehicles and a failure to look properly at the roads and pavement. All of these types of accidents can cause the types of injuries the claimant, in this case, sustained, as well as the other types of injuries mentioned on this page. At Legal Expert, we can work with you on a no win no fee basis. This means that if you are the victim of a car accident, you can rest safe in the knowledge that when you make a claim you won’t face any additional financial risks or hardships. For the specialist legal solicitors at Legal Expert, we believe it is more important for you to spend time resting and recovering, rather than spend time trying to claim what you are owed in damages. This is where we come in. We will do as much of the legal work as possible, leaving you to concentrate on getting better. Our no win no fee, conditional fee agreements mean that no matter your current financial circumstances, you will still be able to make a compensation claim if you have been injured in an accident which is not your fault. No win no fee services mean that if your claim is unsuccessful, you won’t have to pay anything. If you do win your claim the costs for our fee will be taken from part of your award. By law, this can not be more than 25% of your total award. This means that you do not face any potential financial risks. At Legal Expert, we always aim to treat every client and case as an individual, not just another injury claim. We appreciate that each and every serious road accident will affect people in different ways, with different injuries, resulting in different consequences for the claimant. This means that we should always treat each and every case and a true individual. Our team of dedicated personal injury legal solicitors will work hard to win you the maximum amount of damages which you could be owed. Winning you the compensation you are entitled to can help to get your life back on track. For more information on how we can help you, contact us today by email, the contact form on this page, our chat feature or by calling 0800 073 8804. Use our road traffic accident compensation calculator to see how much you could be entitled to after a car accident. View the average compensation for road traffic accidents in the UK.